John Brophy was 83. 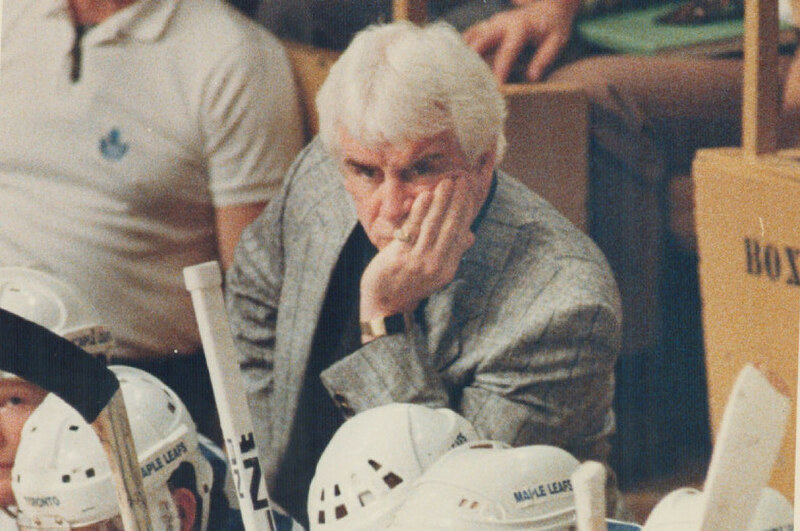 He spent the bulk of his hockey career as a player and coach in the Eastern Hockey League but I knew him best as head coach of the Leafs from 1986 to 1988. He was coach for one of my first favourite Maple Leafs memories, a first round sweep of the Chicago Black Hawks in 1985-86. John Brophy was not the most enlightened fellow, nor was he politically correct, but damn was he interesting. I remember that sweep of Chicago well. Three brooms thrown on the ice at the end. I also have a vague memory of Brophy coaching a game wearing a fedora. I can't remember why he wore it, but at the next game some fans behind the bench wore fedoras. I didn't realize he was still with us, but it's sad to hear he's gone. I have a soft spot for the Leafs of that not-so-glorious era.